What do you feel? What ideas go through your mind? As I was playing this progression, I felt a yearning to be loved perfectly. This reminded me that Jesus loves me. Perfectly, completely! So I wrote song lyrics describing his love for me and set them to a simple melody accompanied by the chords. However, the song was incomplete. I left out why I hunger for perfect love. As Greg Koukl, Founder and President of Stand to Reason, shared his story, he explained my longing for perfect love. God judges my behavior and attitudes perfectly for he knows my motives and intentions and the depth of harm I have caused others. God cannot overlook that harm. His justice is perfect, crushing, condemning. Jesus loves me, a condemned person! He loves me so much that he bore the weight of God’s perfect justice so I don’t have to. He loves me completely, perfectly! His love for me makes it possible for God to offer me perfect mercy. I incorporated those thoughts into the song. It was almost complete. After weaving a few notes from the children’s hymn, “Jesus Loves Me,” in the music, the song was finished. From the album “This & That – A Little Bit of Everything” this video is music overlaid on slides. 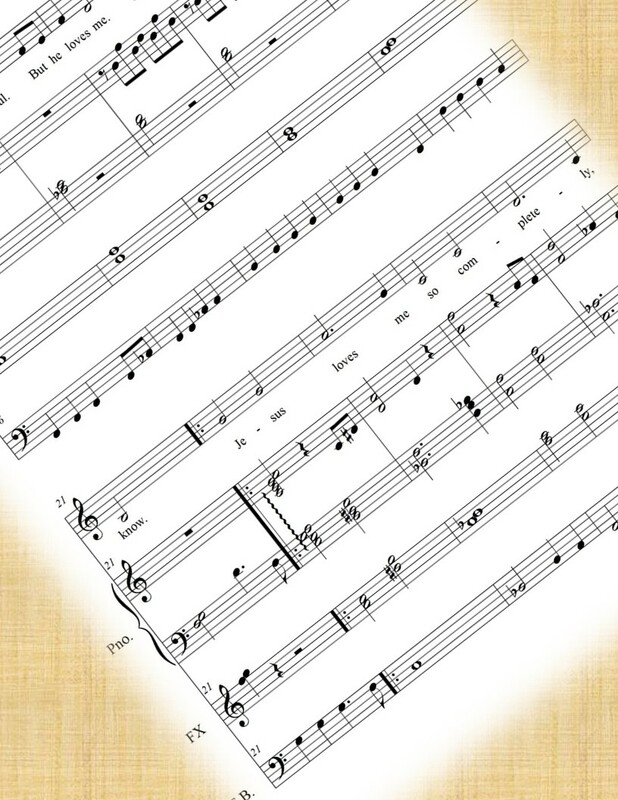 Print (PDF) and digital (MusicXML™) sheet music for Jesus Loves Me are available at the MusicStories shop on Etsy.com. 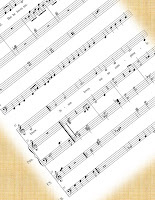 Click here for“Jesus Loves Me” at MusicStories. Click here to watch Greg talk about God’s justice and mercy. Click here for information about MBI Distinguished Speaker Luncheon Series.